Why get eHassle™ website certification seals? Did you know that in research done by Visa, 83% of new shoppers as well as 61% of current shoppers, want to know that the information they give out will be secure on a website before they will proceed with an online purchase? 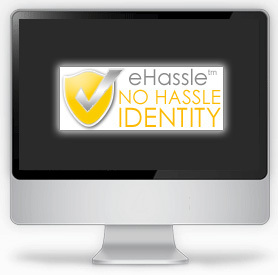 That is where the eHassle™ website certification seals come in. They give customers the peace of mind that a third-party has certified the website they are interested in. If you are like many, you probably spend quite a bit of money in advertising your business. So why wouldn't you spend just a few dollars more to convert more customers into sales? If you have the traffic and need more conversion, then getting the eHassle™ website certification seals may be exactly what you need. "I would shop online more often if I knew my credit card information was secure."